Festive and beautiful MESH dress from KAFFE with glitter effect. It has long sleeves, a loose fit, elastic waistband and a comfortable undergarment. 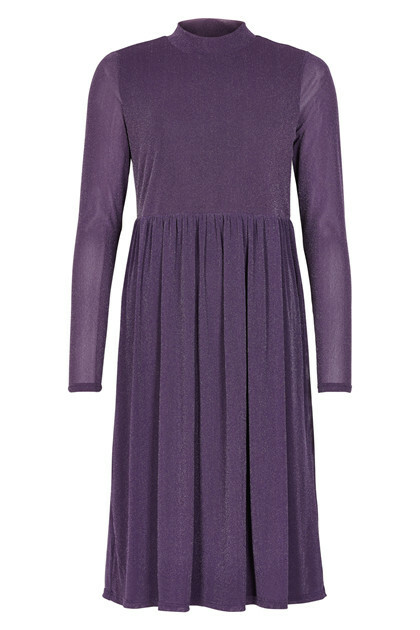 The festive dress has a very good stretchy quality and it has a length below the knee. The nice midi dress with glitter effect is perfect for the season's many festivities and is also stylish with a pair of jeans underneath.